St. Hilda of Whitby, Anglican Catholic Church is made up of individuals from widely varying religious backgrounds. Some of us come from an Episcopal background while others of us come from the Roman Catholic tradition. Others come to us from the various protestant churches. Some of us have had strong religious upbringings while others have had little if any religious experience. 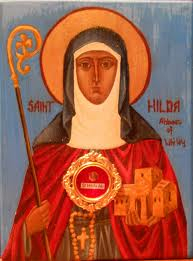 Whatever our origins or backgrounds, however, we are all on the same journey toward personal Christian enlightenment, and we have chosen St. Hilda's as our spiritual home. Our Anglican Catholic traditions help to bind us together in a family community, but they can also be puzzling to many. In addition, many of the rituals of the Church vary from one parish to another. They are not hard and fast rules handed down from above, but rather practices of common worship that have developed over the centuries. The FAQs and Common Practices - Explained sections are an attempt to explain some of our origins and practices. We hope that these explanations are helpful to you. If you don't find the answer that you are looking for here, ask someone in the church.